The RBSC blog has moved! We’ve moved our blog over to Library Matters, where we will be posting content alongside our McGill Library colleagues. In September 2016, the McGill Library brought its four rare collection units—Rare Books & Special Collections, the Osler Library of the History of Medicine, the Visual Art Collection, and Archives & Record Management—together under one umbrella. Together, the unified “ROAAr” group helps showcase the unique holdings within each of the four branches through cross-unit collaboration, strengthening and distinguishing our rich collections and the Library as a whole. We hope you will continue to follow us over at Library Matters. David and Bess, flying from their home at the palace of Ethiopian Emperor Haile Selassie in Addis Ababa, moved to Montreal at only 4 months old. Like many in 1967, they came for the excitement that Montreal’s Expo ’67 promised. But unlike many Expo goers, David and Bess were lion cubs. David and Bess. Photo by Miss Claire Vanier, found in the Society’s journal The Lynx (Vol. 1, No. 4 Summer 1967). The royal cubs were flown in as part of the Ethiopian Pavilion. From their arrival, the Zoological Society of Montreal’s general manager and founding father, Gerald T. Iles, was heavily involved in their care and welfare. In fact, he visited the two cubs almost every day in the summer of 1967, protecting them from malevolent maintenance workers who he said tormented and threw cigarette butts at the felines. He quickly decided that live animals should never have been brought to Expo ’67, but all the same he tried to keep them happy and healthy. The latter pursuit was no easy task – from their arrival, the lions were plagued with infections, abscesses, and illness. 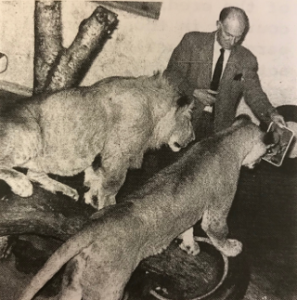 Mr. Iles spent a considerable amount of time with the lions on his lap, driving them back and forth between the Zoological Society’s veterinarian and the pavilion. Gerald Iles shows David and Bess a Mirror. Photo by Mary Burns, found in the Society’s journal The Lynx (Vol 3, No. 2 December 1974). 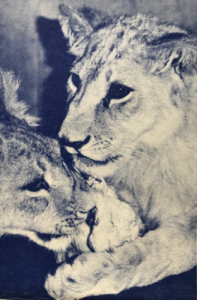 As the summer ended, and the Zoological Society had written several angry letters about the treatment of David and Bess to all parties involved in their immigration to Canada, the Society was ready to put up a fight to adopt the lions. But no fight was necessary, it took only one letter to convince the City of Montreal to relinquish their ownership of the cubs, a further tribute to the city’s lack of interest in the lions’ well-being. As winter set in, a generous member of the Society offered to house the lions at McGill’s Macdonald campus. What happened to Bess and David after that is unclear but what is clear is the kind and charitable nature of the Zoological Society of Montreal. Throughout its 52 year existence, the goal to protect the wildlife of Canada, or any foreign wildlife visitors, was the Society’s driving mission. Founded in 1964, the Zoological Society of Montreal brought attention to conservation issues through field trips, guest speakers, and large projects, including their own endangered species pavilion at the post-Expo exhibit Man and His World in 1975. The Society also contributed to other conservation initiatives through benevolent donations, animal adoptions, and support. We are currently processing the archives of the Zoological Society of Montreal to provide access to these rich records to our research community (MSG 1164). We would like to thank the Zoological Society of Montreal for donating their papers and supporting the processing. To see the lion cubs in action, click here (see 00:32-01:32 mark). Dr. Richard Virr announced recently that he is retiring on February 2nd, 2018. 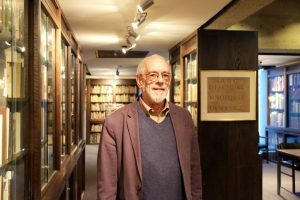 Richard joined Rare Books and Special Collections in the Fall of 1984 after a short time in the McGill University Archives where he was the final editor of A guide to Archival Resources at McGill University. In 1985 he was named curator of manuscripts, a position he continued to hold when appointed Chief Curator in 2006. The latter position he held for 10 years. Throughout his time at RBSC Richard left his mark in a number of areas. He curated numerous exhibitions that were extremely helpful in raising the visibility of the collection, including the recent one on the memorialization of the Battle of Vimy Ridge. Richard organized colloquia and other events that allowed for a scholarly analysis not only of material held in RBSC but of books in general. 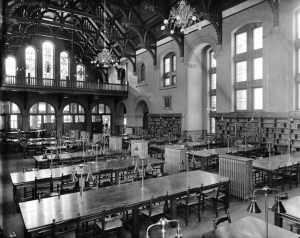 The proceedings of the recent Meeting with Books: Special Collections in the 21st Century was published by the library with additional material about special collections at McGill. His sharp wit and depth of knowledge of the collection developed over years of erudite thought, was of great benefit to the many students and scholars with whom he worked. 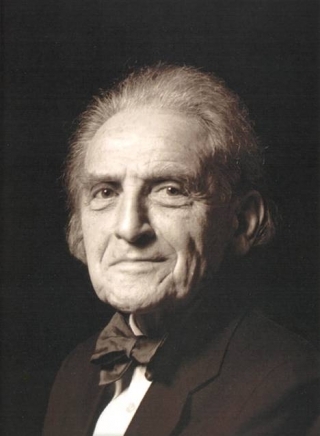 He also authored several works, such as Apud Aldum: Aldines in the Libraries of McGill University, published in the Marginalia monograph series in 2000. For many years he was co-editor with Hans Möller of Fontanus: from the Collections of McGill University. One of his professional passions has been collection development. Richard focused on building on strengths, so he acquired a number of important writers from the Enlightenment era, including securing Patrick Lee’s significant Voltaire collection and numerous works by David Hume. He also added significantly to the Canadiana holdings. He taught Descriptive Bibliography in the McGill School of Information Studies for many years. The course was very popular. Many of his students later went into the field and appreciated the positive impact this course had on their professional development. Richard has also been active outside the University. He was editor of the Journal of the Canadian Church Historical Society, and organized the 2007 Anglican Libraries in Canada Conference held at McGill. He is the Archivist for the Anglican Diocese of Montreal, and a governor of the Montreal Diocesan Theological College. 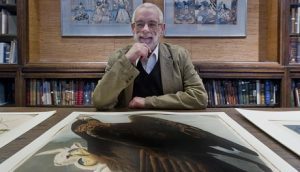 Although Richard’s last day at work will be December 1, he will continue to be active in a number of professional projects, including co-curating an exhibition of medieval books of hours at the Montreal Museum of Fine Arts in September 2018. We all thank Richard for his many years of service and wish him well. We are currently accepting applications for three travel research grants to facilitate on-site research at Rare Books and Special Collections, McGill Library. The McGill-American Society for Eighteenth-Century Studies (ASECS) Fellowship is offered by the Burney Centre, in conjunction with Rare Books and Special Collections. The fellowship is designed to assist scholars who need to travel to and establish temporary residence in Montreal in order to use the resources of the Library. 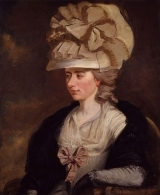 The Fellowship is available to scholars interested in any aspect of Frances Burney, the Burney family, and their extended circle. It carries an award of US $3,000 for a one-month stay, at a time to be arranged. Application deadline: November 30, 2017. How to apply. 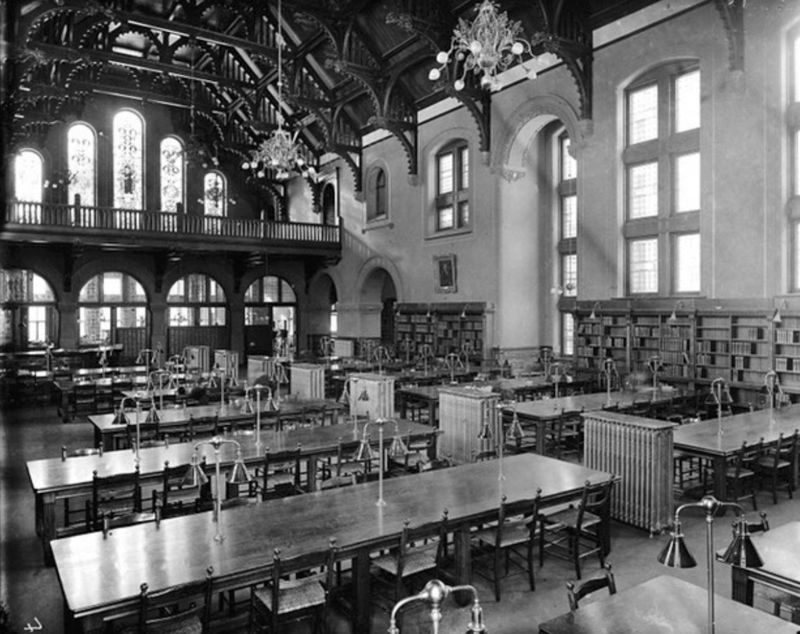 The McGill Raymond Klibansky Collection Research Grant is intended to enable researchers from outside the Montreal area, both established scholars and graduate students, to work on a research project related either to the Klibansky Collection itself or to the history of philosophy in the congenial circumstances of Rare Books and Special Collections, McGill University Library. The Klibansky Collection of over 7000 titles reflects the entire range of Raymond Klibansky’s intellectual interests from his early work on medieval thought to his engagement with the concept of “tolerance” and its importance in the post-Second World War World. The Klibansky Research Grant, with a value of up to $4000.00 (Cdn), is open on a competitive basis. Application deadline: December 31, 2017. How to apply. Frontispiece, Oeuvres complètes de Voltaire, 1819. 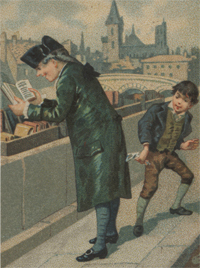 The McGill Library Voltaire Research Travel Grant is available to literary scholars, book historians, graduate and post-doctoral students, and to those interested in the arts and humanities of the Enlightenment era. 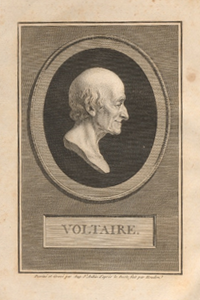 $2,500 in awards will be made to one or more individuals whose project requires them to spend a minimum of two weeks to come to McGill to consult the rich holdings of Voltaire and other Enlightenment works in Rare Books and Special Collections. Application deadline: December 31, 2017. How to apply. Luisella Carretta is an Italian artist who has devoted much of her work to researching the environment, and especially to the movement of animals in their natural habitat. 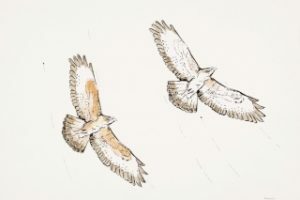 She has given particular attention to the flight of birds, and her drawings and watercolours document these. This exhibition brings together some truly striking images that Luisella Carretta has produced of birds in flight. Curated by Dr. Richard Virr. September 5, 2017 – December 22, 2017. For opening hours, click here. McLennan Library Building Rare Books and Special Collections, 4th floor lobby, 3459 rue McTavish, Montreal, QC, H3A 0C9. Vernissage: Wednesday, 6 September, 5:30 to 7:00pm in Rare Books and Special Collections, 4th floor, McLennan Library Building.